Review: This release marks a new chapter for Levon Vincent's Novel Sound label. 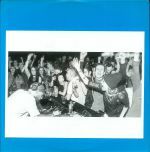 For starters, the fiendishly eclectic and left-of-centre set is the first imprint release not produced by the acclaimed head honcho. 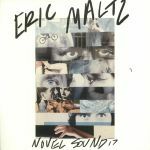 Instead, it comes from one of his oldest friends, record store worker turned producer Eric Maltz. There's much to admire amongst the six, hard to pigeonhole tracks, from the rubbery synth bass, glacial new wave synth melodies and bustling techno drums of "Bring You" and the seductive, wonderfully fluid Larry Heard style deep house of "We Have Power", to the drifting dub techno weirdness of "All The Things" and lo-fi rock-tronica of fuzzy opener "Drone Y Bassa". The album's obligatory ambient moment, "Symphony at Dawn", is also impeccable.